The movement to form evil Voltron is almost complete as Sen. Jeff Sessions’ (R -Ala.) nomination to become U.S. attorney general was approved by the Senate Judiciary Committee along party lines, 11-9. 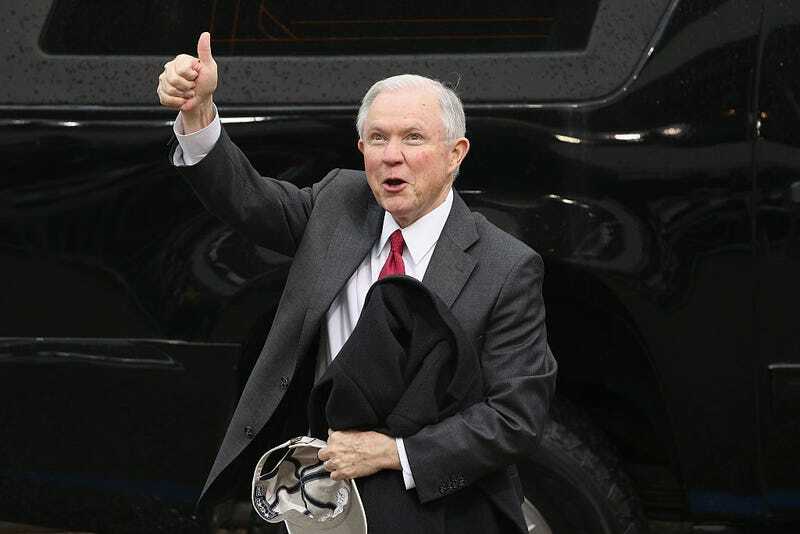 According to NBC News, the panel put up a good fight, but in the end evil prevailed, as it tends to do with this administration, sending Sessions to the full Senate for a confirmation vote, which will surely come in the GOP-controlled chamber. A protester stood up after the Judiciary Committee vote was confirmed, and shouted, “Shame, shame” to the Republican senators, who were too busy smiling inside a silent bubble of self-importance.